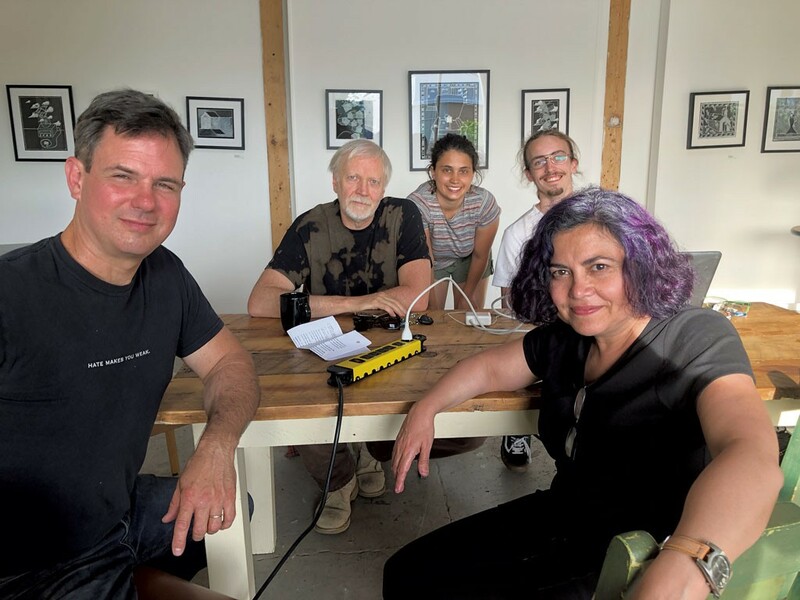 On August 31, Burlington nonprofit music resource and archive Big Heavy World, directed by James Lockridge, announced the official designation of Burlington as a U.S. Department of Arts and Culture Outpost under the auspices of the Burlington Arts ALLiance. USDAC is a nongovernmental organization formed in 2013 as "a grassroots action network inciting creativity and social imagination to shape a culture of empathy, equity and belonging," according to its website. Burlington is now one of 22 such outposts, joining places such as Berkeley, Calif.; Philadelphia, Pa.; Tuscaloosa, Ala.; and Denver, Colo. The outpost designation arose from conversations hosted by the BAA, a group that first gathered in February to discuss the possibility of forming a local arts council independent of long-established municipal Burlington City Arts. The event was described in a public listing as "a moderated meet-up in Burlington to discuss how the arts are funded by the City of Burlington and to consider the possibility of creating an independent arts council that would provide objective input to the city." Among BAA members are Lockridge, University of Vermont data visualization artist Jane Adams, artist and UVM professor Tina Escaja, Off Center for the Dramatic Arts board member David Schein and cofounder Paul Schnabel, Spielpalast Cabaret cofounder and performer Phinneus Sonin, and former Lyric Theatre Company director Syndi Zook. Lockridge, in particular, has long been a critic of how Burlington City Arts allocates funding. Lockridge described the BAA/USDAC Outpost — which are one and the same — as representing "a need being resolved through civic engagement." Currently, according to Schein, the group has 10 core members, with a mailing list of approximately 30 artists. The group solicited participants during last weekend's South End Art Hop. It was Adams, 24, who first suggested that BAA pursue USDAC outpost status. A former Dealer.com employee and graduate of Champlain College's MFA program in emergent media, she became aware of USDAC while helping program a USDAC-initiated "People's State of the Union" event in January at Radio Bean, along with local artists Jen Berger, Kylie Dally and Corrine Yonce. "We're seeing a tremendous outpouring of excitement and also concern for this city in terms of the way in which we promote our arts and culture," Adams commented. "I think that us organizing in this way will really help demonstrate to city governance the importance of including voices from all art forms, all artists, all neighborhoods and all different groups." Adams indicated that a healthy arts community holds significant importance for her as a young person thinking about putting down roots in Burlington. "It's not necessarily about the cold-brew coffee or the avocado toast or the tech companies," she said. "It's really about seeing an arts and culture ecosystem that really emphasizes democracy and equity." The original print version of this article was headlined "New Burlington Arts 'Outpost'"